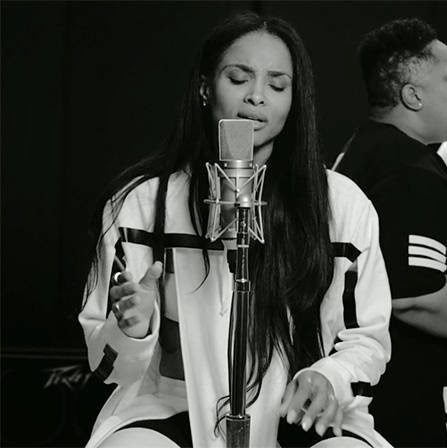 It's about time Ciara did some form of promo for her new single 'I Bet.' I enjoyed watching her perform it in acoustic. The stripped down nature allowed for her voice to take center stage. As we all know, she is not a vocalist, but she did pretty well expressing her hurt through the break-up ballad. She was accompanied by three background singers, a pianist, and a guitarist for the performance, which is in support of her upcoming new album 'Jackie.' Check out the previously teased performance in full below.